THE AmD with Cobra Exhausts team will hope to bounce back to form at Silverstone this weekend when the circuit plays host to the penultimate meeting of the Dunlop MSA British Touring Car Championship season. The West Thurrock-based outfit heads for the Northamptonshire circuit eager to bounce back from a tough weekend at Knockwhill, where Ollie Jackson and Sam Smelt managed a single race finish apiece at the wheel of their Audi S3s. Tamworth-based Ollie had been on a solid run of form prior to Knockhill having taken three top twelve finishes in four races, with the 34-year-old hoping to return to that kind of form during the weekend ahead. Ollie has scored points at Silverstone for the past two seasons and was only robbed of three strong finishes twelve months ago due to incidents caused by other drivers on track. Should he pick up eight points across the weekend, Ollie would surpass his previous best points tally in the series and he goes into the weekend optimistic about pushing for a hat-trick of top 15 finishes. 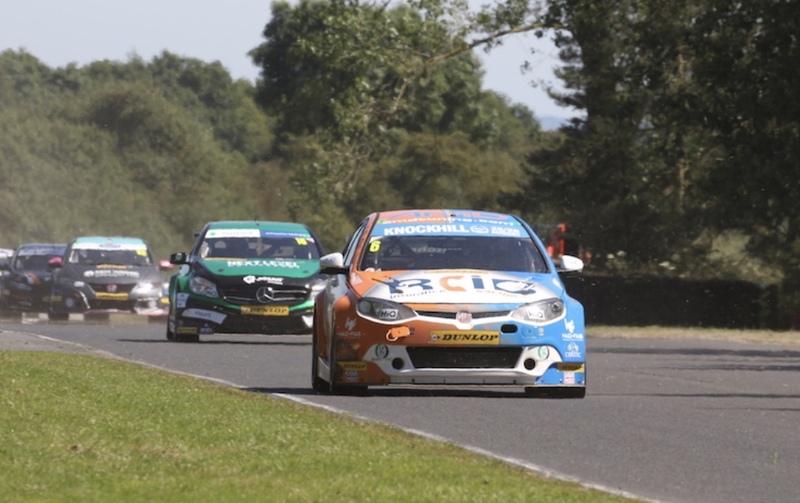 The Knockhill weekend would also be tough for Sam, who endured a heavy accident in challenging weather conditions that ultimately ended his chances of opening his BTCC account. The Northampton racer goes into his home meeting keen to try and push into the points for the first time at a circuit where he picked up a top ten finish whilst racing in British F4 last year. The 22-year-old will look to try and hit the ground running when track action gets underway to enable him to then focus on trying to qualify in the midfield pack – which would see him firmly in the mix for points on race day. “I’m really looking forward to the weekend as Silverstone is a circuit that I always really enjoy. It’s also one where the car ran well last season, even if I didn’t pick up the end results that my pace deserved. “After a difficult time at Knockhill, I’m hoping that we can have a bit more luck on our side and can push for some good results from the weekend. “Knockhill proved to be a disappointing weekend for me and I’m keen to try and bounce back when we get to Silverstone, particularly as it’s my home circuit and one where I’m hoping to have plenty of support. “The aim for me is to try and hit the ground running when practice gets underway like we did at Rockingham last month and then we can work on improving the car to try and get a decent result in qualifying. “Having endured a tough weekend at Knockhill, we’re looking to put that one firmly behind us and will press the reset button going to Silverstone. We know the Audi was strong there last season as it was the circuit where we scored out best result, and hopefully there are more strong points to be hard this time around.